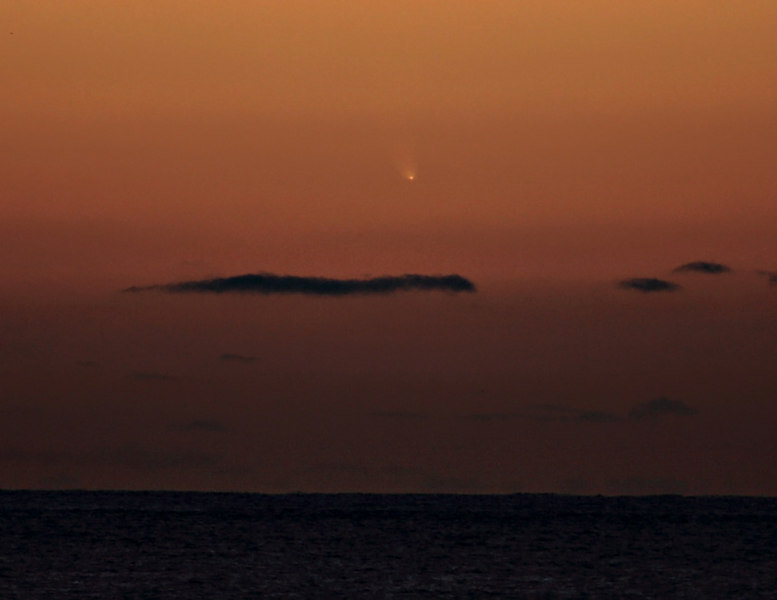 Comet McNaught, also known as the Great Comet of 2007 and given the designation C/2006 P1, is a non-periodic comet discovered on August 7, 2006 by British-Australian astronomer Robert H. McNaught. It was the brightest comet in over 40 years, and was easily visible to the naked eye for observers in the Southern Hemisphere in January and February 2007. This picture was taken from Bodega Bay. Ca. late in January.